I wrote this post four years ago. I have continued to chew on the questions it raised. When things slow down, I hope to come back to this material and give it another pass, both for my own purposes and to extend the discussion for students. In the meantime, the basic inquiry stands: who are my people? The other day, I posed the following question to a group of senior students: What is your tribe? I was not asking for affiliations by blood. Nor did I seek the name of a cult. I went on to explain thusly: in about six months, you will no longer be surrounded by people who are exactly your age, who hail from your social class, who are interested in all the same things you are. There will no longer be a group of professional experts who are paid to be interested in you. You will be on your own, and you will have to construct meaning from your own resources until you find or construct another community. How will you sustain yourself? I asked. Where will you find nourishment? If you aspire to be a producer of culture, you must also be a passionate participant in it. But culture is a big word. We plug into it selectively, in accordance with our own predilections. In the age of the interwebs, you can find digital encampments of many varieties. At the heart of my question, however, lives something deeper. I am really asking: To whom will you turn? This is not the same as With whom will you chat? Whose tweets will you follow? Typically, the people to whom I turn are dead. Meaning: museums and libraries are sources of nourishment, too. And you can belong to a tradition, an approach, a certain variety of impatience, and be sustained by it. Yet when I ask where are my deepest connections--who, maybe I should phrase it, are my heroes?–I get a different set of people. Three artists who come to mind immediately for me: Stuart Davis (1892-1964), Philip Guston (1913-1980) and Robert Weaver (1924-1994). All were readers of social landscapes, if in wildly different ways. Davis integrated cubism, commercial design and the American scene, forging a language grounded in observation and based on form. Guston built a circular career that began in the WPA, moved into the refinement of abstract expressionism, and culminated in a grubby embrace of the everyday. And Robert Weaver drove the journalistic imperative in American illustration from the mid 1950s into the 1980s. I have presented lots of Weaver in this space before, notably, here and here. 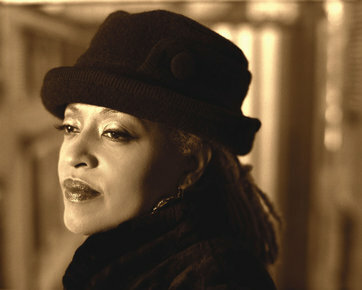 In addition, I feel substantial connections to certain interpretive artists: the jazz singer Cassandra Wilson comes to mind. The interpretive question is a fascinating one, for another day. I identify with the novelist Richard Ford, another social landscapist, and his novel The Sportswriter. The topic deserves more writing and thought, but this is not the format for it. For the benefit of demonstration for my puzzled seniors: over the course of writing this miniature essay, I think I might have named my tribe: social landscapists. For me, the social landscape is built out of human artifacts. I did not know that, exactly, when I started to type. Which is why writing is an important act, even for artists. David Stone Martin, Jam Session at the Philharmonic, jacket cover illustration for Mercury Records, circa 1950. Dowd, spread from The Ballad of Hoofer Dupree, 2014, excerpts from Sam the Dog, St. Louis Post Dispatch, 1997-1999. Dowd, Rashomon Pizza Oven, Canton, Ohio. 2010.